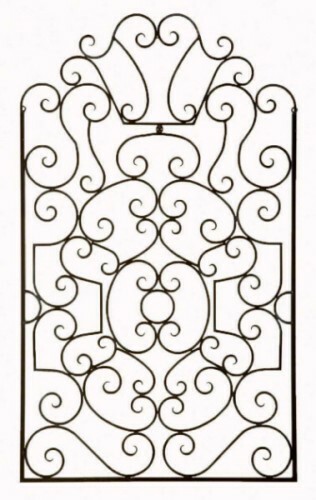 Unique wall grill with crown gate design. Offset scroll pattern wall decor. Has matte black finish. Measurements- 24 in. L x 41 in. H. Weighs 12 lbs. Made of iron.